Already on location in one of the world's most stunning cruising grounds, North West Malaysia, "El Gato" is in fully serviced condition and 100% ready to continue her adventures. New to the market, this sought after Lagoon 440 Owners Edition, is the epitome of luxury, style, space and elegance, molded with excellence of build quality, seaworthiness and sailing ability. The owner's edition offers deluxe accommodation in the entire starboard hull, with a walk around king bed, a living space with settee, extra storage, and a grand owners on- suite with separate shower room. The openness and light of her saloon and galley area, with the panoramic windows, invite the external vista indoors, while still offering you the security and safety from the elements. This is such an open and inviting space for relaxation and entertainment, complete with light Oak Alpi timber work, cream leather lounges, and easily maintainable stainless top galley preparation bench. The port hull harbours 2 more spacious double cabins, each with their own on suite. Navigation is possible from inside, or from the fly bridge, where 360 degree visibility, electric winches, and a comfortable bench seat is the ideal place to keep watch and manoeuvre the vessel. Entertain in the sunken u-shaped foredeck seating area, the 6 seater fly-bridge bench seat or the spacious cockpit, complete with BBQ, bench and sink station, and refrigeration. WOW! Take your pick! Her maintenance and service log book are proof of her impeccable upkeep. Recently she has returned from Phuket where elements of her rigging were upgraded, engine was fully serviced, and new covers and boom bag were fitted. Her list of Blue water extras include electric Harken winches, custom stainless steel fly-bridge, full covers, new cockpit cushions, solar panels, wind generator, 9.5kva Onan genset, 2 x fridges + 1 freezer, Open Ocean Watermaker, and Satellite Phone. Recently actively cruised throughout Thailand, Malaysia and Indonesia, El Gato is currently berthed at the exclusive Vivanta Resort, Rebak Island Marina, in duty free Langkawi. Genset:Onan 9.5kva 50 Hz (w/ Cocoon) 1213 Hrs. Cockpit clears/curtains, wraparound Cockpit covers. New Sunbrella canvas January 2018. New Sunbrella canvas cushions on flybridge January 2018. This owners edition Lagoon offers the up-most in luxury, style and privacy. The entire Starboard hull is a designated Owners recluse! With Aft King size bed, seating area, and forward, grand en suit and separate walk in shower. Ample stowage space through out the entire boat. Port size there are 2 double cabins, both with private en- suites. Comfortable and stylish leather lounge surround the large table, where 8-10 people can sit comfortably. Toilet:3: NB: NEW Jabsco Quiet Flush toilet pump and macerator, October 2018. Entertainment:VDO Sound System in the cockpit and flybridge. The galley is in the main saloon to starboard, with direct access to cockpit through sliding windows. Well appointed with stainless steel triple sinks and counter tops. There are two fridges, and a 3 burner Eno gas cooker with oven. This is an immensely inclusive galley, where easy access to the cockpit, or to the saloon allows the users to remain immersed in the activities. Refrigeration:1x Refrigerator 1 x Freezer 80L in galley and 1 x refrigerator in cockpit (fully rebuilt December 2017). Stove:ENO Stove, 3 Burners with oven. Water-Maker:Open Ocean Watermaker 220 ltr/hr. Life Raft:RFD Liferaft 6 man. BEP battery management panel plus two smart controllers for new array. 3 x 260 mounted on stainless steel frame (October 2017). Complete RAYMARINE E120 sailing Instruments at both helm stations including Radar, GPS, Plotter, Depth sounder, ST60 Log -- Wind speed and direction, Compass. Raymarine Autopilot with wire-less remote, extra sounder in port hull. Raymarine VHF, Icom ICM710 HF, Inmarsat Oceana 800 Sat Phone. Rigging inspected October 2018. NEW Inferior and Superior diamonds, new lazy jacks, new main halyard and Jib furler line. New Gooseneck bronze bushings. 2 x Anchor with 75mtrs Chain and Bridle. Davits, Swim Ladder, Stainless steel BBQ. Hot & Cold Deck Shower. Trampolines at bow fitted 2016. Extra brand new tramps still in box. 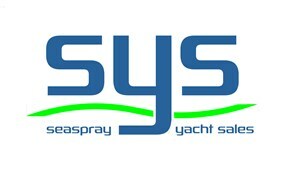 Seaspray Yacht Sales Langkawi is a division of Seaspray Yacht Services, Langkawi's Premier Shipwright Services. We have been operating our business here for 10 years. Boat builders, boat owners, boat lovers, our main aim is to help each boat FIND the Right owner, and for the adventures to continue! Professional, knowledgeable and personable. We look forward to assisting you today.